Tis the season for… surprises. 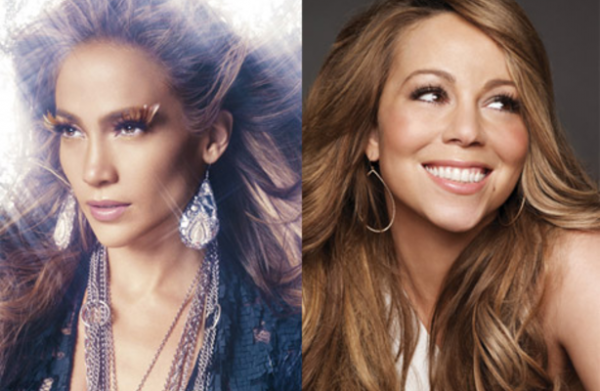 Mariah Carey has long claimed to not “know” Jennifer Lopez, but the latter is making no secret of her awareness of Mimi and her music. J. Lo was probably being low key shady lmao. Lol i think so too. You know who song that is, you know you on camera and then the comment she made at the end? Hmm idk lol. Ya’ll messy . There was no belt in this video , not even around her waist . BELT? VOICE? When in the NO TALENT is going on. SHE SHOULD NEVER PART HER LIPS to even THINK ABOUT TOUCHING A “REAL VOCALIST” SONG. “Never part her lips” Thanks for the laugh! Yea it’s a NO for me!! How do you criticize something that wasn’t meant to be any more than a casual hum? Jennifer is the total package and I can’t wait to find out if her tour is coming close to me! Jennifer is talented, yes, but the whole package not so much. She’s a dancer with a decent voice and a few hits but that’s about it, I wouldn’t consider her a “whole package” type of entertainer but I guess it’s a matter of opinion. So is it just in people’s nature to be negative. She literally was singing to herself as we all do when a song is stuck in our heads. That woman probably heard the song in the car or something (it is a classic, playing everywhere and is currently #6 on the Hot 100). If anything she was showing how un-bothered she is with the supposed “beef” that isn’t really beef. She can appreciate a great song. STOP BEING NEGATIVE PEOPLE!!!! DOING THE MOST. NO REASON FOR THIS.